Please note: While all players who met the conditions required to earn the Tech Alpha portraits mentioned below will be eligible to receive them once Closed Beta testing begins on January 13, not all eligible players will have these immediately unlocked on patch day. However, we do plan to award these portraits to all qualifying players very soon, so stay tuned on the Heroes forums over the coming days for an announcement about when they’re expected to become available. The holiday season is upon us, and to celebrate this festive time of year, we're giving away free bonus XP! 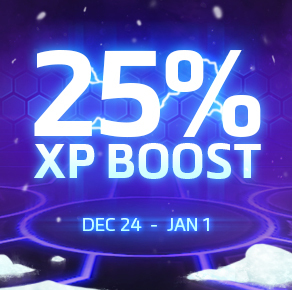 Players who log in to brawl in the Nexus between December 24 and January 1 will receive a 25% XP boost. The boost is only available while logged in to the game, but it will apply to all Heroes and stack with other similar bonuses -- the +XP bonus will also stack additively with Stimpacks! We also have another treat for players currently in the Technical Alpha! 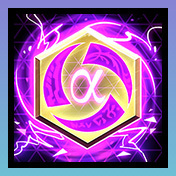 We will soon be awarding players with two unique portraits to show off their accomplishments. 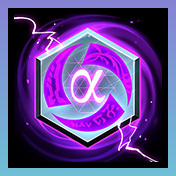 Players that play a game during the Technical Alpha will be granted a unique portrait when Closed Beta launches on January 13, 2015, and those players that reached Player 40 at any time during the Technical Alpha phase of testing will also be awarded with another unique portrait. So if you have access to the Technical Alpha, there's no better time to jump in and take advantage of the holiday bonus to help you hit Player Level 40 before Closed Beta hits! Happy holiday brawling, Heroes. Thank you for your continued support, and we wish you the very best of adventures in the coming year as we quickly approach Closed Beta on January 13, 2015!